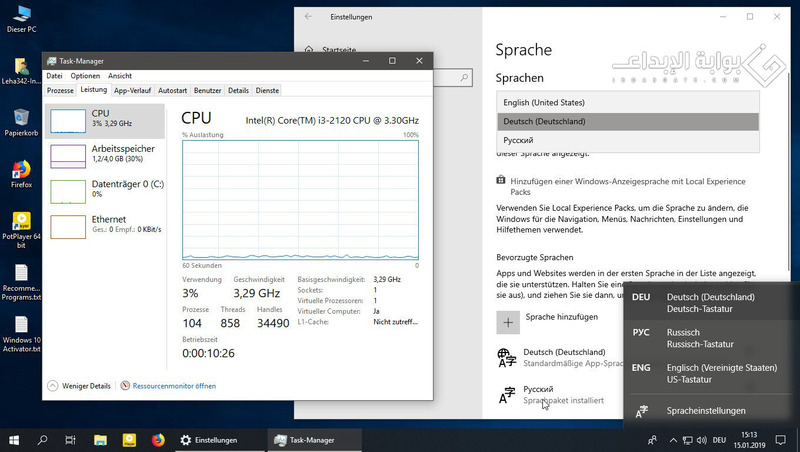 أقدم لكم أخوانى الكرام لأول مرة أعضاء البوابة الكرام هذه الأسطوانة من نسخة Windows 10 Enterprise 1809 x64 Integral Edition 2019 بأخر التحديثات الأمنية من مايكروسوفت مع التفعيل الأمن كذلك البرمجيات الهامة للنسخة مثلDirectX وايضاً .NET Framework 4.7.2 والعديد من الإضافات المميزة لتجعل النسخ فى قمة الإستقرار والسرعة وبإذن الله تنال إعجابكم .. The basis of the assembly is the original English ESD image from Microsoft Windows 10 x64. 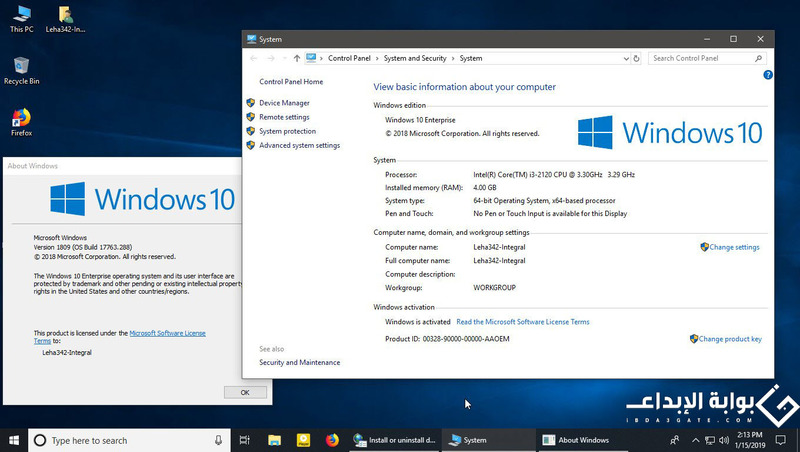 Integrated current updates on January 12, 2019, the build has been updated to 17763.288. Installed the necessary system libraries and programs. Russian and German language packs with installation instructions included. Read more below. • Nothing is deleted, not disabled and not patched. • 1. KB890830 - Windows Malicious Software Removal Tool v5.68.15555.1. • 2. KB4469348 - Dynamic Update for Installation Media. • 3. KB4470788 - Servicing stack update for Windows 10 Version 1809. • 4. KB4476976 - Cumulative Update for Windows 10 Version 1809 (OS Build 17763.288). • 5. KB4480056 - Cumulative Update for .NET Framework 3.5 and 4.7.2 for Windows 10 version 1809. • 6. KB4480979 - Security update for Adobe Flash Player for Windows 10 Version 1809. • Visual C ++ Redistributable 2002 v7.0.9975. • Visual C ++ Redistributable 2003 v7.10.6119. • Visual C ++ Redistributable 2005 SP1 v8.0.50727. • Visual C ++ Redistributable 2008 SP1 v9.0.30729. • Visual C ++ Redistributable 2010 SP1 v10.40219. • Visual C ++ Redistributable 2012 Update 5 v11.0.61135. • Visual C ++ Redistributable 2013 Update 5 v12.0.40664. • Visual C ++ Redistributable 2017 v14.16.27012. • .NET Framework 3.5 = On. • Auto install OneDrive = Off. • Show Hidden Items = On. • Show all file extensions = On. • Browser finder = Google. • Task Manager View = Detailed. • File Execution Dialog = Detailed. • Merge Taskbar Buttons = Never. • Windows Theme Color = Storm. • Theme Accent Color = On. • Default browser = Firefox. • Default media player = PotPlayer. • Default Archiver = 7-Zip. 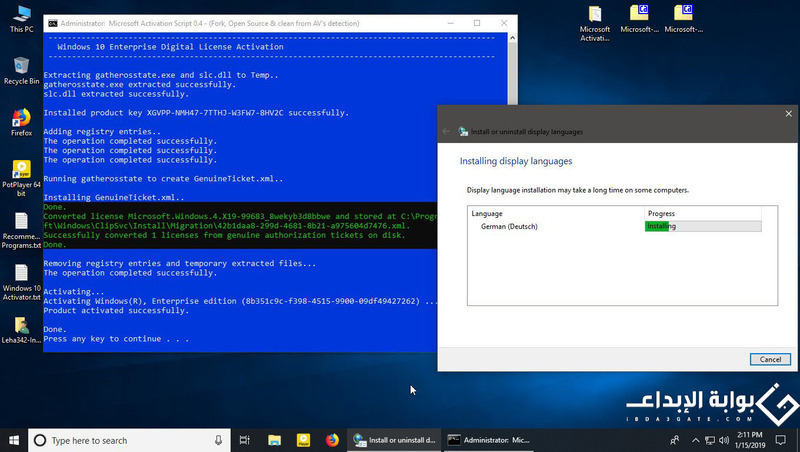 • Added the latest updates for January 2019: KB4476976 | KB4480056 | KB4480979. 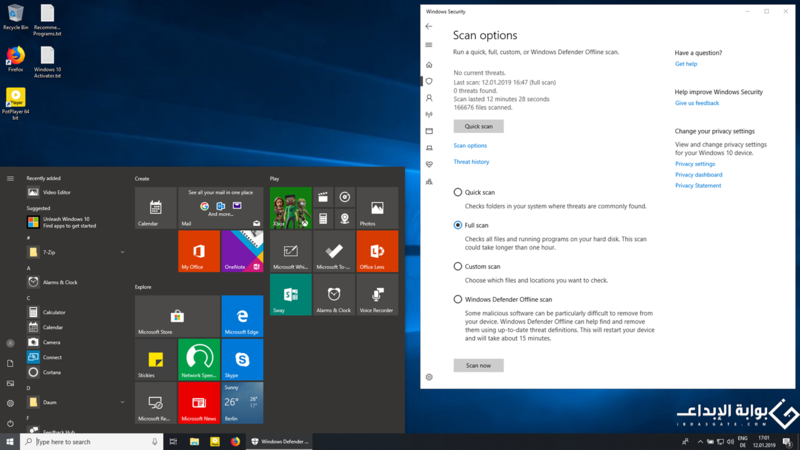 • Updated Windows Malicious Software Removal Tool (KB890830) x64 to v5.68.15555.1. • Updated Mozilla Firefox x64 to v64.0.2. • Updated Microsoft Visual C ++ 2017 Redistributable to v14.16.27024. • Updated 7-Zip from v18.06. • Updated ImDisk Toolkit to v2018.12.21. 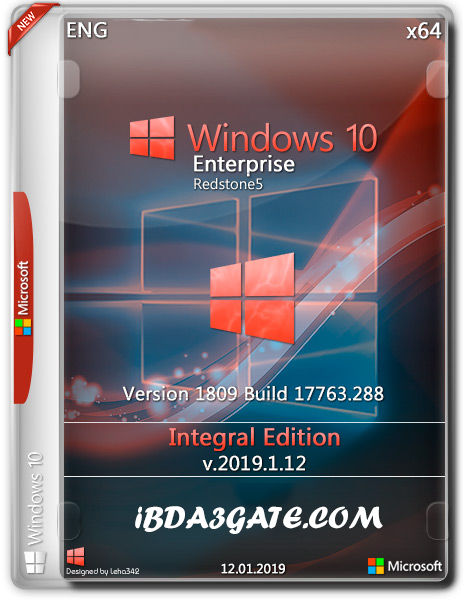 حصرياً أحدث نسخة مخففة من ويندوز Windows 10 V1709 Lite Edition V6 X64 2018 بطرح مميز للبوابة . حصرياً النسخة الأحدث Windows 10 Pro X64 Build 14393.1537 Aug 2017 بتحديثات أغسطس 2017 بطرح مميز . حصرياً النسخة الأحدث Windows 10 Pro X64 RS2 Build 15063.448 July 2017 بتحديثات يوليو 2017 للبوابة .